A satisfying feeling of accomplishment always overwhelms me when I identify any new species of bird, mammal, and all other living things from the Natural environment. The Birds, the Mammals, the Flowers, and the Trees always seem to capture my attention first. This is partly because of their presence in the areas I frequent and my fascination with these living things. The geologist, the entomologist, and the botanist all have their favorites as well, and many excellent field guides have been produced for this purpose. Fortunately for us, dedicated men and women have spent their entire lives studying, photographing and learning about these wonders of Nature. To most of us, who have other areas of effort to occupy our lives, it is comforting to pick up anyone of these Field Guides to augment our knowledge and comprehension of our favorite fields of study. The Birds are the first to attract my attention with their songs and their color and a quick glance within the pages of the National Audubon Society Field Guide to BIRDS Western Region never ceases to provide an accurate description of the subject, including its habits, and a map of its range on the North American continent. Jean Rabin Audubon was such a man. He was born in, Les Cayes, Saint-Domingue, (today known as Haiti), on April 26, 1785, and passed away on January 27, 1851, in New York, U.S.A. He was an ornithologist, a naturalist, and a painter. His passion for the study and documentation of all the American birds is well worth noting however, it is as an illustrator of birds that he has gained his great renown. The photograph at the top of this blog is Plate 1 from his immensely popular book, The Birds of America. His most famous work, The Birds of America, is one of the finest books on Birds and in it, he identified 25 new species of birds in the United States. Thus began the age of the field guide. His influence on ornithology and natural history has no equal and even Charles Darwin has quoted him on 3 occasions in his book, On the Origin of Species. 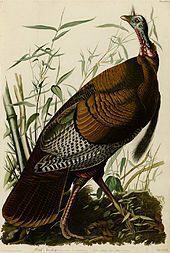 The life of John James Audubon produced what is certainly one of the first such field guides. It also fostered the National Audubon Society. The National Audubon Society, in turn, has produced many excellent field guides that have become the gold standard of the modern era. National Audubon Society Field Guide to BIRDS western region is one of these and it also is my go-to reference whenever I need to identify a bird species from the western region of North America. It is the “birding” bible, and a must-have for all birders. Plate 117 offers an accurate visual description of the Ring-necked Duck, (one of my daily sightings, this Spring) and Page 408, of this field guide, goes on to describe this water bird in much greater detail. Here we can find information on its physical features, its voice, its habitat, its nesting and breeding habits, and the range it occupies on the North American Continent, and on it goes in this manner for 544 species of birds found in the western region of North America along with 676 photographs of these 544 species. There is also a companion volume to this book called, National Audubon Society Field Guide to North American Birds: Eastern Region. This is also, the first “birding” guide book to visually organize species by color and shape, making field identification simple and accurate. This exceptional Field Guide is, without a doubt, one of the go-to books of all serious birders. The National Audubon Society field guides are a must-have reference for all bird-watching enthusiasts. The 2 above-mentioned books include all the North American bird species and accidentals. It describes their conservation status and also includes the Parts of a Bird. This is a superb volume of detailed effort, by many dedicated photographers and people of ornithology. Do yourself a favor and make this classic a part of your library. If you have any comments, questions, or suggestions about Field Guides in any field of study I will welcome them without hesitation. I would love to hear your stories of rare sightings that you have experienced and how you happened upon them. I am also very interested in accidental sightings and the climactic events that usually produce them. For those who enjoy the outdoors, this guide definitely would be beneficial providing lots of good information. There are definitely a lot of different bird types that I’m sure bird watchers like to catch a glimpse of, but those that want to learn more might want some more information. Thanks for sharing and recommending this product! Thank you Jeremy, for visiting and providing these well appreciated comments. These Field Guides are truly a great source of information and a true joy to own. By simply remembering a few details about a specific bird that you have seen in the wild , it is very easy to attach a name to it. Once this has been achieved, research can lead to a more profound exploration and understanding of how each individual species lives and its place in nature. I’m happy to hear that you are also passionate about hiking and learning about all of Mother Nature’s creatures. I am unable to determine where you live from your comment, so I want to mention the importance of acquiring a Field Guide for the area you frequent the most. This field guide is for birds WEST of the 100th meridian in North America and its system does identify by color and size making the procedure very easy. As you are probably aware, there are Field Guides for just about every major and minor branch of the outdoors that you can think of. Good luck with your birding and happy hiking. I am an avid hiker and like to identify flowers and birds as I hike. I know most of the wildflowers in my region but would like to learn more about the birds. I think I will give the National Audubon Field Guide for BIRDS a try. Is that the one that visually organizes by color and shape? I’m a visual learner and colored photos are a definite must. I also love watching birds and hearing their songs in nature. I find it very peaceful and beautiful. I do not have too much knowledge yet about which birds it is that I am hearing and seeing, so great with some tips on the best field guides. Is the field guide you are mentioning mostly about birds in America or also other parts of the world? I live in Northern Europe so if this guide is not so much about this area, do you then have a suggestion for another guide that could help me? Hi Mikael, and thanks for dropping by. This Field Guide is for birds in the western section of North America.The dividing line is at the 100th meridian. It is an arbitrary line chosen because it follows the eastern front of the Rocky Mountains which is a natural barrier in the range of many eastern and western birds. Two volumes that would be of benefit to you can be found here. Wishing you great birding adventures. If you have any other questions or need access to other volumes, please do no hesitate to contact me. Our too civilized society should turn closer to mother nature. We have to learn how to live in balance with fascinated creature around us. Especially with birds. Your review and recommendation of Field Guides is excellent! I believe it is very educational. Have you ever considered to promote this through local schools. I think our kids should know more about it. Thanks for stopping by to read my post Vitaliy. Great to hear about your love of Nature and of the bird world. Your suggestion about exposing young students to this concept is an excellent one. I will look at this possibility more closely to see what’s involved. These Field Guides are surely part of school libraries but real time exposure would surely make for great school projects. I am pleased to hear that you also possess a Field Guide library. As you well know, they are available on a wide variety of subjects and offer a lot of information to anyone fortunate to own one. I have many of the ones you mention, however, I do not have any on garden plants and herbs, which are two subjects that I find very interesting. I will research these two volumes and offer some comments on them . Again, thanks for the visit and success in your gardening. I have a nice collection of field guides myself which I have used many times over the years to identify birds and wildlife I have taken photographs while out on my nature hikes. These are very inexpensive and worth more than they cost to identify anything you are interested in, I have garden guides which are similar to birds and wildlife only on garden plants especially use my herb guide book all the time. Good day Chanan and thanks for stopping by to visit. Adventures in Nature are very interesting indeed and bird watching can be part of this excitement as well. This Field Guide is a must have for all birders, and the satisfaction of being able to identify these beautiful creatures can be very rewarding. Birds are an easy way to enjoy the great outdoors. For the nature lovers out there, they should definitely grab a copy of this as this could give them a lot of new insights about birds and even confirm their hypotheses of they function. It would be such a great time to spend some moments with the nature and getting to know the species of birds that may be flying in the sky just above us. Adventures are amazing and i think bird watching is too! This books sounds awesome for the bird watching lovers. We have a bird feeder in the garden and watch the birds come to have their breakfast/lunch/dinner. It’s amazing how many types we are able to spot. We usually have yellow ones (not sure of the name) and cardinal and bluejays. I think with the Field Guide I would be able to name them all. Your visit and thoughtful comments are greatly appreciated, Dinh. Thank you for visiting. This complete field guide to North American birds, western region, is even more than my words can describe. If you have any desire to identify your backyard birds, get a copy of this book. In a short period of time, you will be impressing your family and friends with your newly acquired knowledge of birds.